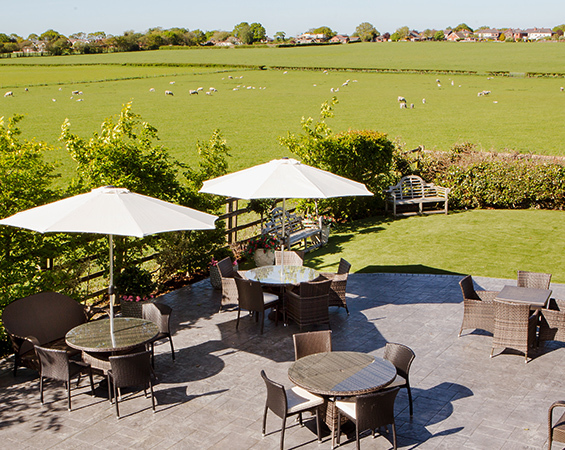 The Wrightington Hotel & Health Club boasts beautiful views of the surrounding Lancashire countryside. Our newly landscaped garden has the perfect backdrop for wedding reception and pre dinner drinks, served from our stylish mobile bar. Other outdoor areas include the hotels landscaped garden, a gorgeous sun trap in which to enjoy lunch or Afternoon Tea. The surrounding area has an abundance of lovely local walks. Just 4 miles from Wigan town centre & a short drive to Liverpool, Manchester & Preston. 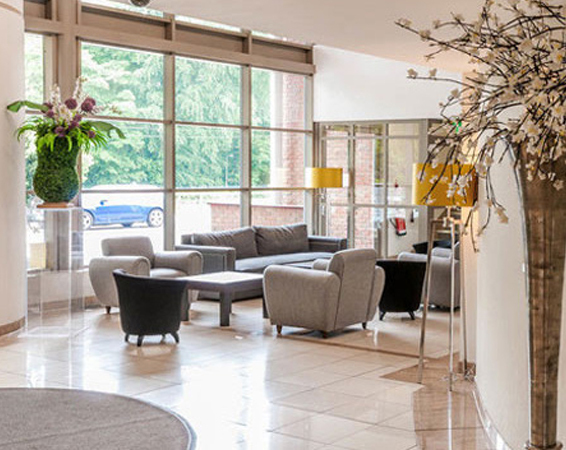 The hotel is incredibly easy to find, the perfect location for meetings, functions and corporate travel. Just 1 minute from the M6 yet surrounding by countryside. From the South – Exit at Junction 27 (Standish/Parbold). At the top of the slip road, bear to the left off the roundabout. Follow the road straight ahead for just 600 yards until you see Moss Lane on your right hand side. The Hotel and Health Club is situated 75 yards up the road. From the North – Exit at Junction 27 (Standish/Parbold). At the top of the slip road, you should bear right on the roundabout and leave off the third exit, following the signs for Parbold. Follow the road straight ahead for just 600 yards until you see Moss Lane on your right hand side. The Hotel and Health Club is situated 75 yards up the road. Check out the map to see exactly where we are. If you would like any further assistance please call The Wrightington on 01257 425803.